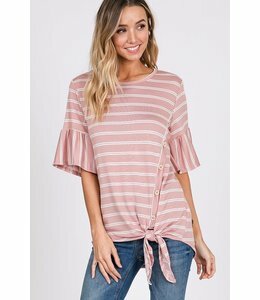 A short, striped dress with a deep V-neck, a smocked waist, and a tie upper back. 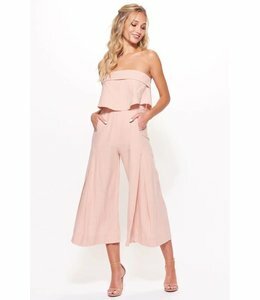 A classy, blush-colored jumpsuit with loose, pleated legs and a tiered, strapless top. A loose-fit babydoll dress with 3/4-length bell sleeves.